Garmin International Inc., a unit of Garmin Ltd. (NASDAQ: GRMN), the global leader in satellite navigation, today announced an updated version of the Garmin Pilot application for the iPad and iPhone featuring synthetic vision as an option for premium subscribers. 3D Vision incorporates GPS-derived airspeed, altitude, and vertical speed overlaid on rich 3D topographic landscape. 3D Vision is transformed when optionally paired with the GDL 39 3D, which superimposes back-up aircraft attitude information overtop the Garmin SVX display. Garmin Pilot incorporates sophisticated graphics modeling to create a virtual topographic landscape. Instead of a blue-over-brown display, pilots will see an in-depth perspective view of realistic terrain features rising into the sky. Garmin Pilot conveniently displays a clear 3D depiction of ground and water features, as well as obstacles, traffic, and the runway environment. Adding to situational awareness, GPS-derived airspeed, altitude, and vertical speed are superimposed. Offering course information when an active flight plan is present, a horizontal situation indicator (HSI) is also overlaid on the 3D display. Additionally, estimated time enroute (ETE), distance information, and the active leg of a flight plan are conveniently displayed just below the HSI. Pitch and roll information is available on the synthetic vision page when pilots use the GDL 39 3D in conjunction with Garmin Pilot. Aircraft attitude information is also displayed on the aircraft panel page, enabling pilots to view weather and traffic information alongside rich, interactive moving map information, simultaneously. When Garmin Pilot is paired with the GDL 39 3D additional benefits include Flight Information Service-Broadcast (FIS-B) subscription-free weather, which offers NEXRAD imagery, METARs, TAFs, and more. Traffic Information Service-Broadcast (TIS-B) also helps pilots gain a better understanding of the traffic picture around them. The GDL 39 3D features TargetTrend relative motion tracking, which offers pilots a more intuitive way of judging target trajectories and closure rates in dense traffic environments. SURF technology supports the display of ADS-B-equipped surface targets on the moving map page, which offers pilots better situational awareness on runway and taxiway surfaces. The GDL 39 3D supplies highly accurate WAAS GPS data to Bluetooth® compatible devices, ensuring precise position information is displayed while in-flight. The latest version of Garmin Pilot is available immediately as a free update to existing iOS Garmin Pilot customers with a premium subscription. 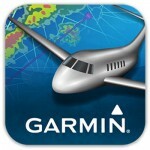 For new customers, Garmin Pilot 6.1 is available in the Apple App Store as a free download for the first 30 days. After the 30-day trial period, pilots may upgrade to an annual subscription of Garmin Pilot starting at $74.99. With the purchase of a GDL 39 3D, SVX is included in all Garmin Pilot subscriptions. Visit www.garmin.com for more information. Garmin International Inc. is a subsidiary of Garmin Ltd. (Nasdaq: GRMN), the global leader in satellite navigation. Since 1989, this group of companies has designed, manufactured, marketed and sold navigation, communication and information devices and applications – most of which are enabled by GPS technology. Garmin’s products serve automotive, mobile, wireless, outdoor recreation, marine, aviation, and OEM applications. Garmin Ltd. is incorporated in Switzerland, and its principal subsidiaries are located in the United States, Taiwan and the United Kingdom. For more information, visit Garmin’s virtual pressroom at www.garmin.com/pressroom or contact the Media Relations department at 913-397-8200. Garmin Pilot is a trademark and Garmin and Bluetooth are registered trademarks of Garmin Ltd. or its subsidiaries.